premièred May 22, 2013, Wash­ing­ton, D.C. 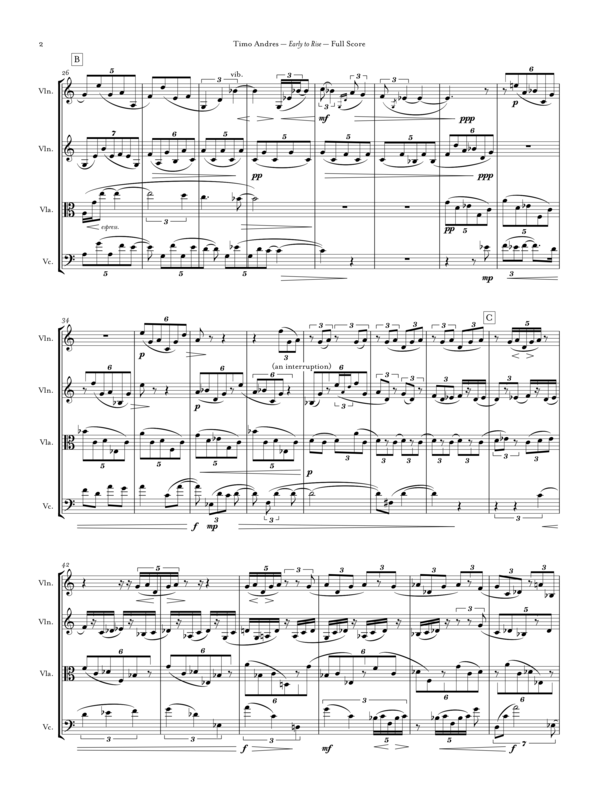 Early to Rise is very produc­tive within a short span of time—a four-movement string quartet compressed into a single 10-minute unit. 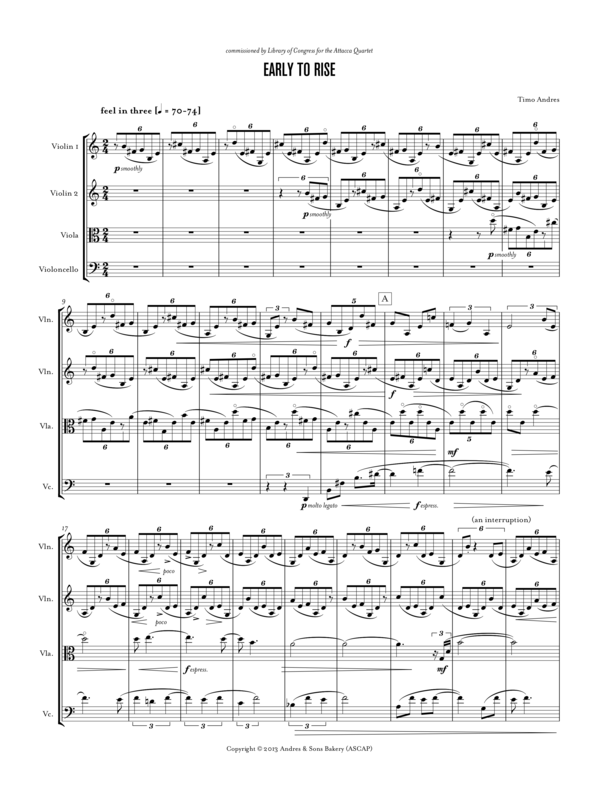 It’s also the most recent in a series of Schumann-inspired pieces I’ve written; this time, the seed is a five-note accom­pa­ni­men­tal figure from his late piano cycle Gesänge der Frühe (“Morning Songs”). 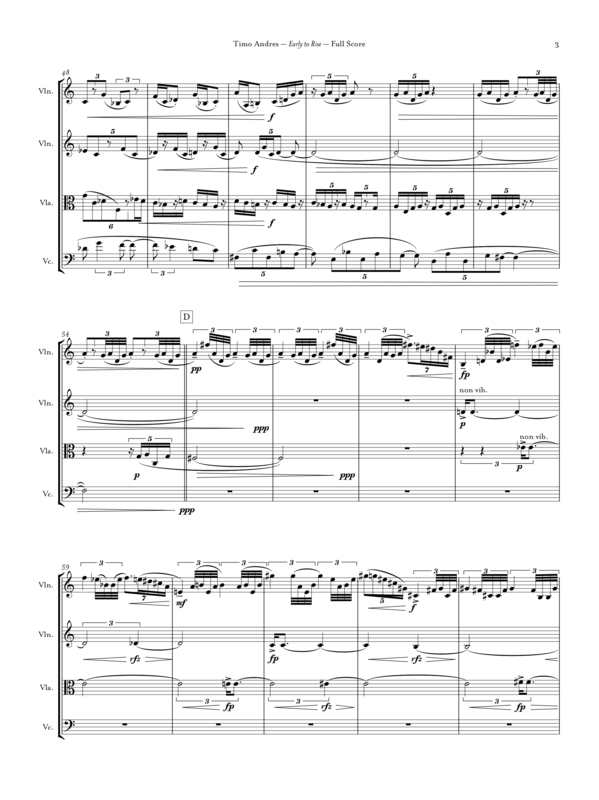 At first, Early to Rise uses this figure in a canon, gently cycling through harmonies while its rhythms rub against each other in expand­ing and contract­ing patterns. The first violin insti­gates the second section with a sped-up version of the five-note figure, forced constantly to modulate by the lower strings’ contrary motion. A chac­conne is the foun­da­tion of the third movement, though unlike tradi­tional chac­connes, it modu­lates with each repe­ti­tion, forming longer, upward-striving wedges. 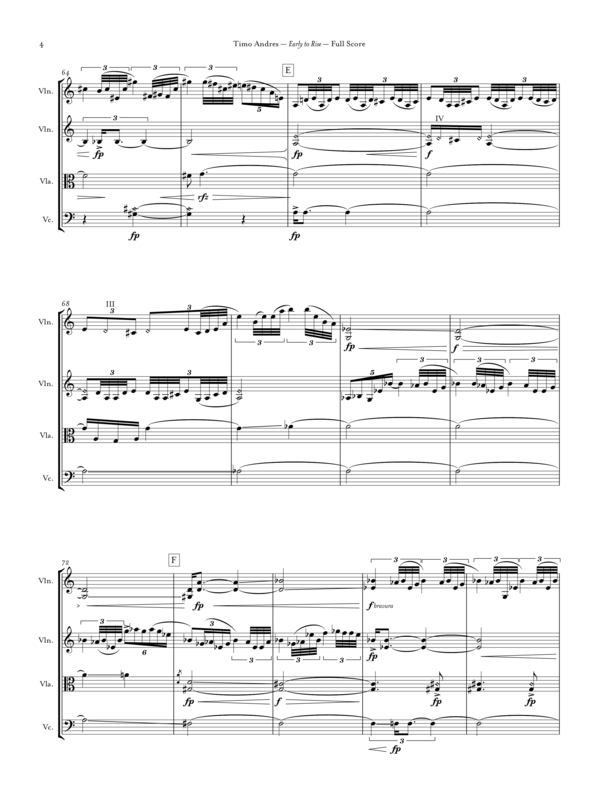 In the final section, momentum builds in the opposite direc­tion with a simple downward-drifting chorale, picking up speed until it reaches a frenetic conclu­sion.